Universal Switch for use with all Electric Fuel Pumps. Working pressure range is 2-100 PSI. 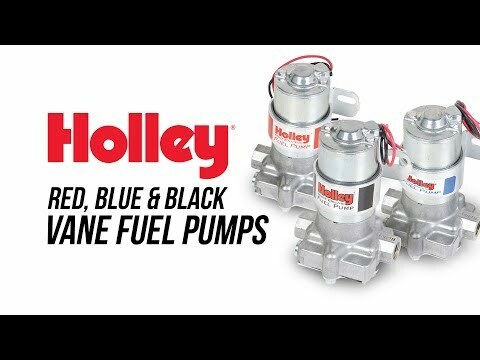 The Holley P/N 12-810 fuel pump pressure safety switch is a good peace of mind to help save your engine in the unlikely event of oil pressure loss. The safety switch is installed in conjunction with the oil pressure switch and if a loss of oil pressure should occur, the switch will remove power from the electric fuel pump stalling the engine due to a loss of fuel. 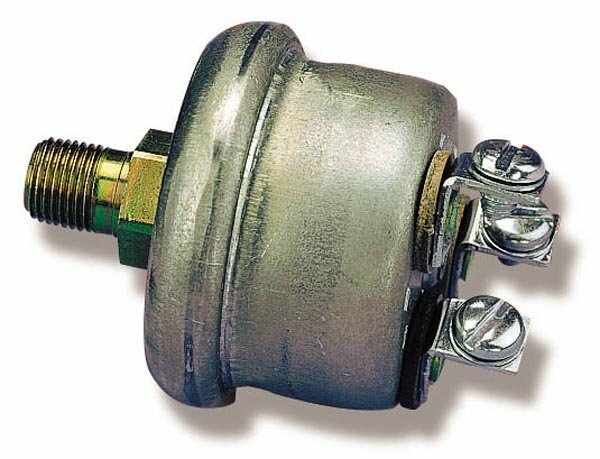 This safety switch can help to save your engine if it losses oil pressure. Working Pressure range is 2-100 PSI.